This book will help freelancers create a successful and sustainable career on Upwork, the largest freelancing platform in the world by providing them with practical advice on how to avoid many pitfalls that are a part of working on Upwork. 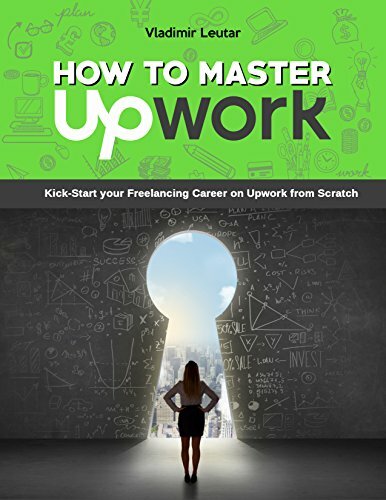 Updated for the year 2017 and describing all the changes of Upwork platform since the merger of Elance and oDesk, this book will show you how to achieve and – even more importantly – keep a high Job Success Score, how to deal with difficult clients and how to avoid all the landmines working on Upwork brings along. As an online marketing expert with more than a decade of experience with many leading brands, Vladimir has been dealing both with clients and freelancers from all over the world, seeing both sides of the story. On Upwork, however, the freelancer is the one who carries the majority of risk, especially the newcomers to the platform. This book was composed in order to help freelancers avoid making catastrophic mistakes that would end their career prematurely – even if they themselves have done nothing wrong! 1. How to set up an Upwork account that attracts clients. 5. What Job Success Score is and how to achieve and maintain 100% of your JSS! Succeeding on Upwork is not easy, but working hard is not enough – you need to work smart! Benefit from the author’s and other Upwork freelancer experiences that will show you the many potential pitfalls that have ended the careers of many young, talented freelancers on Upwork and how to avoid them!